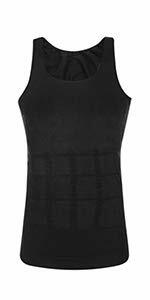 Sport-Tek - Jersey Knit Short with Pockets. ST310. Model's measurement: Height 6'2"; Weight 183lb; Waist 32.3"; Hips 37.8"; Wearing a size L. Size M: Length 23"; Relaxed Waist 31.5"; Hips 48.8". Size L: Length 24"; Relaxed Waist 33.9"; Hips 51". Size XL: Length 25"; Relaxed Waist 36.2"; Hips 53.5". Size XXL: Length 25.5"; Relaxed Waist 38.6"; Hips 56". 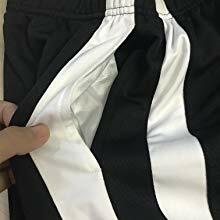 Our basketball shorts are made of 100% polyester which offers these shorts comfort and durability, and high moisture wicking mesh body inserts that allows for free air circulation during sports activities like basketball, or during rigorous workouts. The smart moisture control keeps your skin dry and thus help improve your performance by providing the best working conditions. 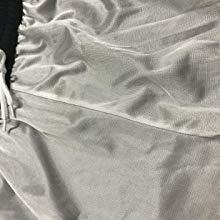 The fabric is light and loose enough to allow for free movement of your body - thus not affecting your game performance in any way. Features unique two-color design with contrast piping. Durable waist band with internal drawstring. Also included a white lining not to see through. Inseam of 11 Inch. 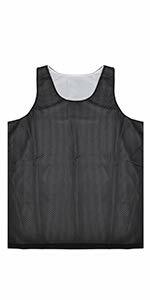 These come with side pockets to let you safely store your phone and valuables during the game. 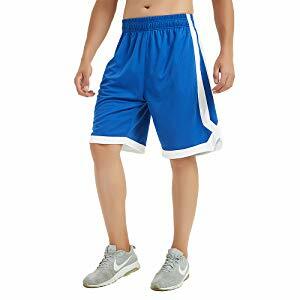 Our basketball shorts are made of 100%polyester which offers these shorts comfort and durability, and high moisture wicking mesh body inserts that allows for free air circulation during sports activities like basketball, or during rigorous workouts. The smart moisture control keeps your skin dryand thus help improve your performance by providing the best working conditions. 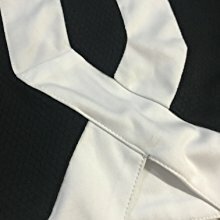 The fabric is light and loose enough to allow for freemovement of your body - thus not affecting your game performance in any way. 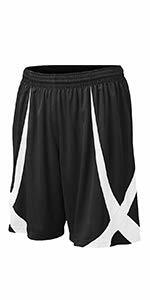 Durable waist band with internal drawstring, to make the shorts fit you the best. Also included a white lining, you do not worry it will be seen through. The shorts were as they described, and more!!! 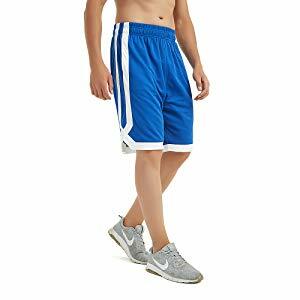 Comfortable, not too short not too long (I�m 6�1� 175 lbs) Made out of a heavy enough material where it doesn�t make that little bump in the front, I hate shorts that do that. 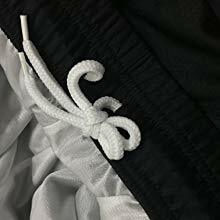 The liner on the inside is nice too, it�s just like another pair of shorts in there and it�s not all elasticky like some of them are. They fit loose but they aren�t like all baggy, still practical. I just can�t believe they are everything I want in a pair of shorts and they are so cheap. I�ll be buying some more of the same. Really well fitting and made shorts, especially for the price. Impressed. In there were other colors I would order even more. Port Authority Tall Glacier Soft Shell Jacket. TLJ790.